The 1524 Reference Thermometers from Fluke’s Hart Scientific Division measure, graph, and record PRTs, thermocouples, and thermistors. These thermometer readouts deliver exceptional accuracy, wide measurement range, logging, and trending, all in a handheld tool you can take anywhere. The 1524 lets you handle field applications, laboratory measurements, and data logging with ease. 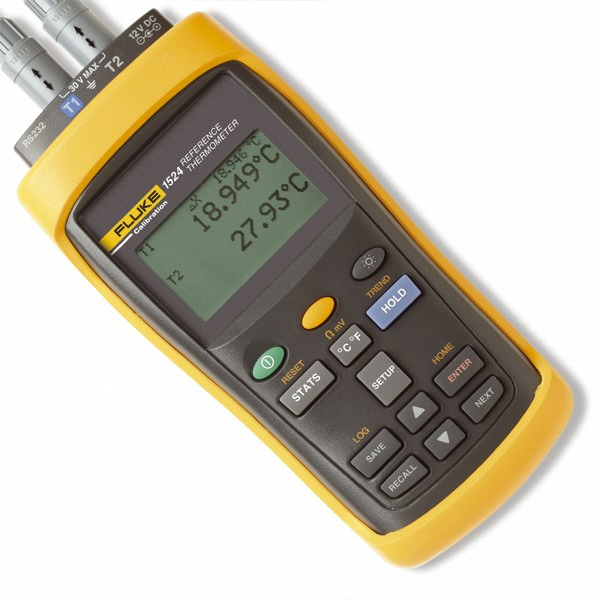 And with the dual channel measurement capabilities of the model 1524, you can do twice the work in half the time.